For those who use it, Truecaller is a useful app for identifying who that phone number belongs to, and is a major hub for the protection, against spam calls. If you’re here, you might be wondering how Truecaller works and how it operates. In this article, we’ll explore the same. Truecaller drives its power from its user community. Anyone signing up for the first time has to provide their permission to the app to let it upload the entire list of contacts. The uploaded contact information then merges with the existing database of phone numbers. Once signed up, the user can search by either phone number or name, and find out their corresponding contact information from the Truecaller database. A user can look up the associated contact name by providing a phone number for free. However, if someone wants to find the phone number associated to a name, he/she requires premium membership in order to ask for it from the particular person (provided, both parties are using Truecaller). Apart from manual search, one of the major features of Truecaller is live caller identification, which allows a user to know the identity of his/her caller during an incoming call. Truecaller achieves this in a two-fold approach. It keeps a local list of known spammers (marked by the Truecaller community) stored in the on the users’ phones. This allows users to identify and block spam calls locally from their iPhone and Android devices, even without an Internet connection. And if a caller is not in the predefined spam list, Truecaller can perform a live lookup during an incoming call, and provide the caller’s identity to the user. Note: Depending on your situation, you might sometimes receive important calls from numbers that are identified as spam on Truecaller. For example, if you have purchased a new SIM card, verification calls may come from phone numbers that have been marked as spam, as such numbers might also be used for telemarketing purposes as well. 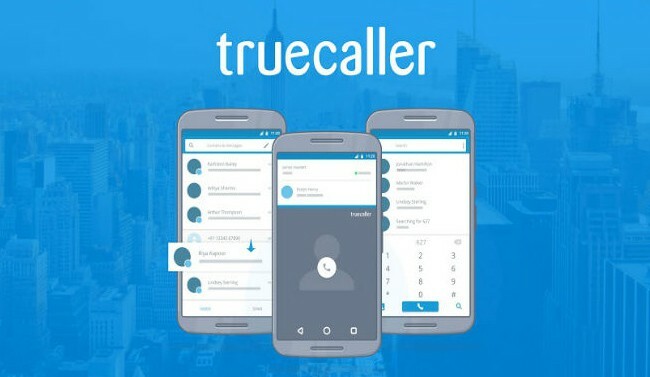 In order to perform live caller identification, the receiver should have the Truecaller app installed on their phone and have an active Internet (either 3G/4G or WiFi) connection. However, Truecaller’s implementation on iOS and Android is slightly different from one another. We’ll now explore how Truecaller’s Live Caller ID feature works on iOS and Android, for incoming calls. Because of iOS’s restrictions, Truecaller on iOS was only limited to manual phone number lookups for a very long time. However, recently the updated app has become much more usable for the live caller identification feature. However, that being said, there are still some limitations of the iOS app, when it comes to live caller identification. In order for live caller identification to work on iOS, it is mandatory for both the (caller and receiver) devices to have the Truecaller app installed and also be connected to the Internet as well. If the caller is an Android user, the receiver will get a caller ID notification for incoming calls. If the caller is an iPhone user, the receiver will only get the caller ID notification, when the caller uses the Truecaller dialer to initiate the call. In the above scenario, when the caller initiates a call from an Android phone having Truecaller installed, or using the Truecaller dialer on iPhone, Truecaller takes the caller’s information and sends them directly to the receiver’s device as a push notification. Due to such implementation, you might notice that sometimes, the caller ID notification is pushed to your iPhone before the actual call comes in. This is because, push notifications are often faster than the time it takes for the PSTN to connect the two parties (may not be applicable for VoLTE calls). Alternatively, if the caller doesn’t have the Truecaller app, or calling from an iPhone using a different dialer (not Truecaller), there’s no way for Truecaller to detect the call due to iOS’s restrictions. And so, no caller ID notification is sent to the receiver in this case. Note: If the SIM card for your Truecaller registered phone number is installed on a different phone than the iPhone on which Truecaller app is installed, you’ll only get live caller ID notifications for calls to your registered phone number. On the other hand, the spam call identification feature will only work for calls to your iPhone. This is because spam calls are detected locally using the native “Call Blocking and Identification” feature on iOS. Truecaller on Android can directly perform a live lookup of phone numbers as soon as an incoming call comes in, as the platform provides the required permissions to do so. So, as long as the caller’s phone number is in the Truecaller database, the app will show the caller’s name as a popup on the incoming call screen, regardless of whether the caller is a Truecaller user or not. However, the time it takes for Truecaller to fetch the caller’s identity may vary, depending on certain factors. For instance, if the caller is also a Truecaller user either running an Android phone, or initiating the call from the Truecaller app on iPhone, the identification may be instant on the receiver’s phone. However, if the caller is not a Truecaller user or calling directly from the Phone app on iPhone without using the Truecaller dialer, it might take some time to load his/her identity, depending on the receiver’s Internet connection. This is because, in the first case, Truecaller can send a direct notification to the receiver’s device, letting them know about the caller’s identity, and there’s no actual lookup involved. In the second case, such direct notification isn’t possible, and Truecaller has to resort to its database lookup, which takes relatively longer. So now that you know how Truecaller works, did you find the answer to whatever you were looking for? Let us know in the comments below.